Workplace safety products incorporating cleanrooms and controlled environments, as well as industrial and environmental applications. Advanced technologies to assist safety managers to maintain high standards in hazard identification and regulatory compliance, ensure lone workers safety and minimize environmental footprint. Thermo Fisher Scientific partners with leading suppliers of the highest quality products to deliver a wide array of disposable and reusable cleanroom products. Through our extensive range of suppliers, Thermo Fisher Scientific are able to offer a full range of safety and personal protective equipment (PPE) for your laboratory and workplace. The combined strengths of these leading PPE brands create a unique set of solutions unparalleled in the safety industry. Work alone solutions for every industry. Blackline Safety is a leader in connected safety monitoring, they develop innovative solutions to support lone workers, evacuation management and environmental gas detection needs. The safety monitoring solutions deliver instant awareness and connectivity for every industry, location, job and scenario. A complete range of noise and sound level meters to meet your environmental, industrial hygiene, and occupational health and safety monitoring requirements. The measurements taken by sound level meters are compared to known standards to identify whether the noise level could have a detrimental effect on humans located near the noise source. A complete line of reliable precision-engineered Casella air sampling pumps and constant flow air samplers for industrial hygiene, safety, environmental, occupational health, and indoor air quality applications. In addition, we have an extensive range of air sampling media for gas and vapour, particulate, and bioaerosol sampling. A complete line of reliable precision-engineered particulate (dust) monitors for industrial hygiene, safety, environmental, occupational health, and indoor air quality applications. In addition, we offer an extensive range of size selective cyclones for specialist dust monitoring applications. A highly specialised range of portable vapour and contamination monitoring equipment designed to monitor a variety of toxic vapours such as mercury or for identifying the vapours and contaminants that are present in an ‘emergency responder’ situation. Nanoparticles are ubiquitous in the atmosphere. One of their key characteristics is that they possess very little mass, but are many in number. And it is for this reason that the current worldwide, mass–based, ambient air quality regulations for particulate matter are ineffective in dealing with nanoparticle concentrations in cities. A select range of spill control and spill containment items. Our products range from spill kits, and drum containment bunds, drip trays, spill pallets and booms through to oil and fuel absorbents, marine spill equipment and spill remediation products. 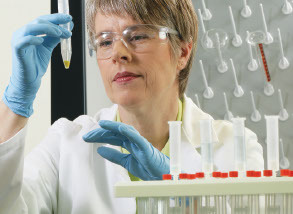 A large range of field and laboratory test kits to suit a variety of applications. Ranging from testing water concentration quantification, PCB presence, chlorine levels in oil, alcohol levels in gasoline; to total acid number in oils such as lubricating, hydraulic, pump and other oils. We have a wide range of disinfectants and cleaners for clean room applications, medical and clinical disinfection, food and beverage locations, or just general laboratory cleaning. In addition, all the supplies necessary to safely clean up oils, acids, caustics, solvents, and toxic spills.